An increase in growth by approximately 50% meant a necessary expansion to Bell & Evans’ current corporate offices. 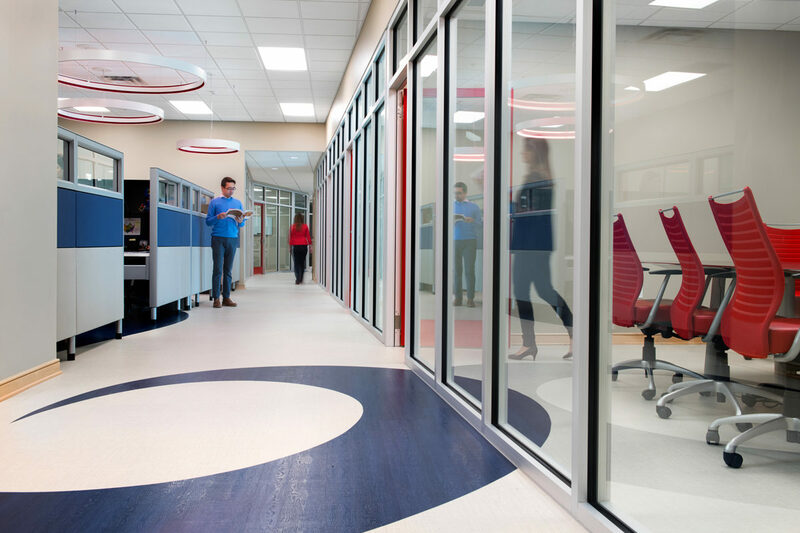 These new offices, used for Sales, Marketing, Quality Assurance and the Supply Change, are a streamlined, modern European feel with an open floor plan concept. Natural light enters via large exterior windows and fills the office space. Large interior windows allow for views of the production area. Visitors, clients, and staff can see a portion of the plant’s operations. 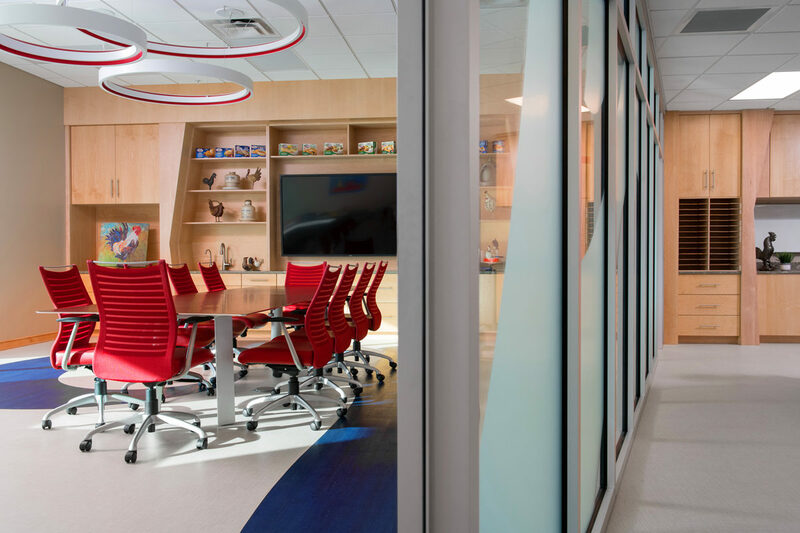 Bright blue and red hues are notable throughout the space, pulled from the company’s logo. 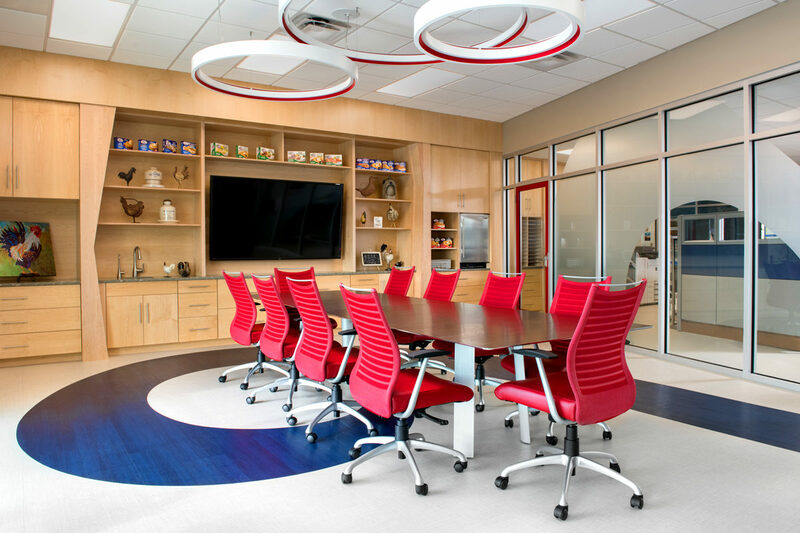 Therefore, the office and conference area boast bold red doors, seating, and fixtures. 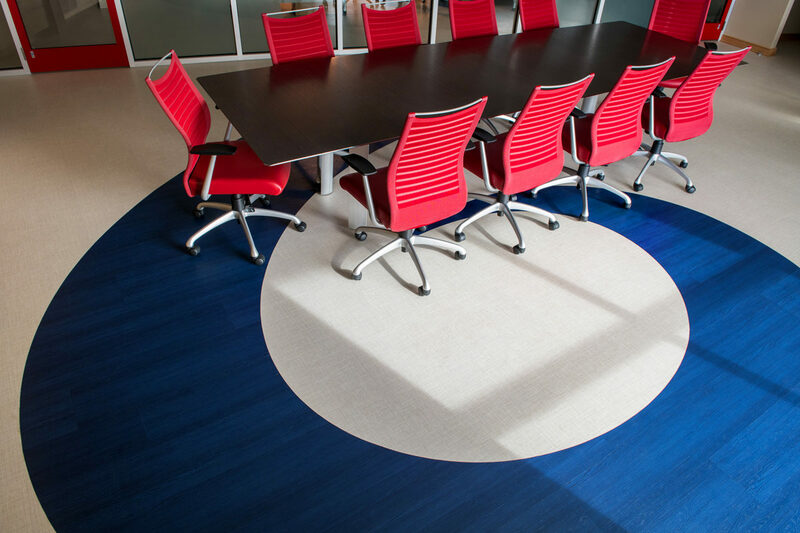 Similarly, swirling swathes of blue in the flooring artfully mimic chicken tail feathers. 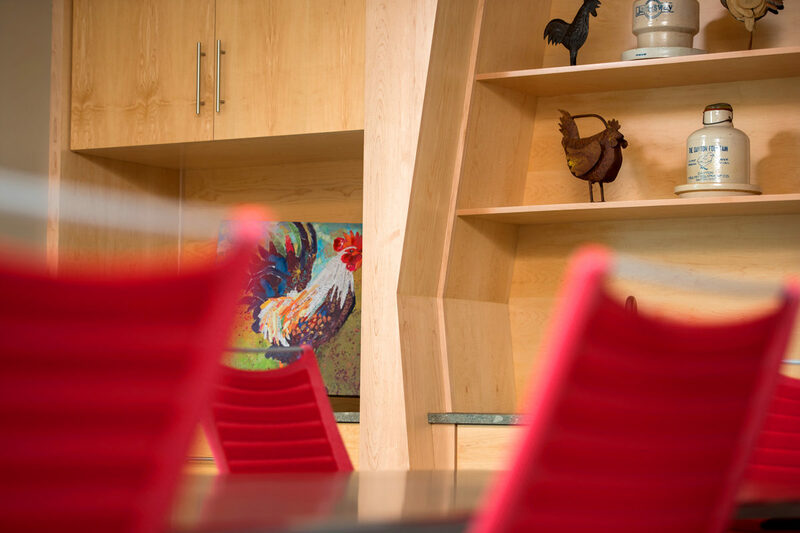 Custom built-in shelving with angled accents were created in order to provide a branding showcase. 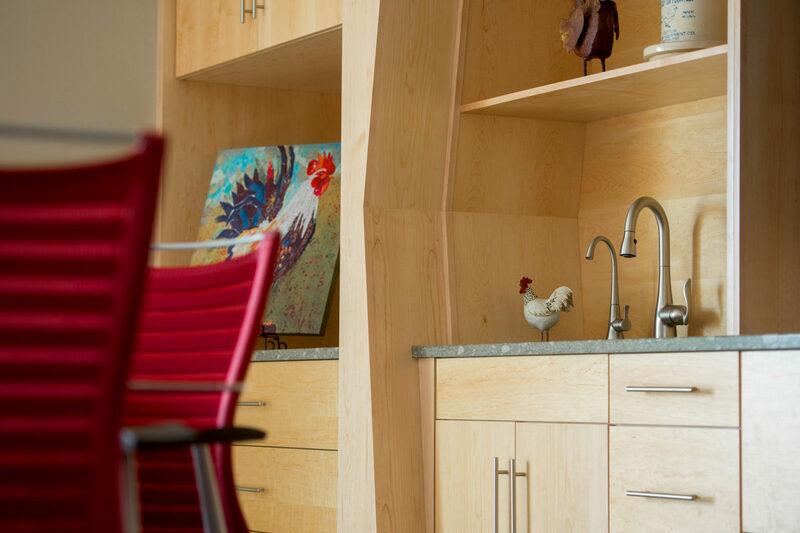 The built-ins also include cupboard and drawer storage, a tech panel housing a flat screen television, and a wet bar. A true balance between the functional and the interactive.